windsurfing spots. 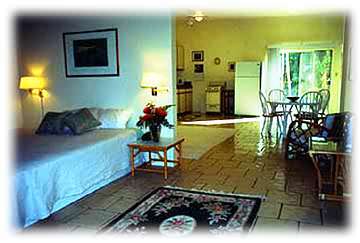 This is an Island Home for vacation rental in Kihei, Maui with privacy surrounded by neighborhood friendliness. Close to all of Kihei's shopping, dining and activities. cable TV, VCR, CD player, phone w/ answering machine. room. The living room has a fold-out sofa and futon pads. It has 750 sq. ft. of living area. basketball, beach umbrella, coolers, chairs and other beach gear. $95/night based on double occupancy. Each additional person $15/night. 7 night minimum - All prices are subject to 11.417% taxes. $65 out-cleaning charge. Minutes away are Mauis most beautiful swimming and snorkeling beaches.